Straddling three local authorities – Islington, Hackney, and Haringey – effective policymaking and regeneration in Finsbury Park depends on cross-borough co-operation. TfL and Network Rail are key players, along with businesses, residents, and community groups. On Thursday 20 September we visited Finsbury Park to hear from organisations working across boundaries in the tri-borough town centre. In addition to three administrative areas, Finsbury Park is home to four distinct commercial spaces: Blackstock Road, Stroud Green, Seven Sisters, and Fonthill Road. A Town Centre Management Group aims to co-ordinate activity, preventing duplication of initiatives and bringing policies from the three boroughs in line with one another. The group meets quarterly and is made up of four trade associations, representatives from each borough (officers and councillors) and TfL. Stroud Green Road (top left), Fonhill Road (top right) and Blackstock Road (bottom). Much of Finsbury Park’s commercial offer lies within LB Islington, where growth has been at a different rate than in neighbouring Hackney, but things are starting to change. City North is one of the biggest construction projects in recent years – it aims to put Finsbury Park “on the map”. The scheme brings new homes, amenities, commercial space and people, but also a risk of divisions between old and new communities. LB Islington believe there is a clear role for the council in promoting inclusion, resilience and growth, ensuring existing businesses are not left behind. The borough recognises that while local creative and tech industries flourish, they are not always inclusive of residents and often lack diversity. Conor Cusack, Inclusive Economy Team Leader at LB Islington explained that the Team’s Affordable Workspace Strategy aims to embed social value, investing £2million in affordable workspaces in Finsbury Park, and converting 12 disused garages in the Andover Estate. 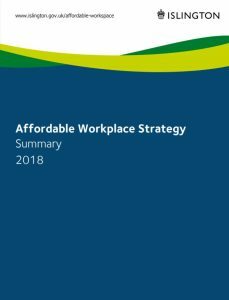 An affordable workspace provider will be offered a peppercorn rent to operate spaces, on the condition they offer jobs, professional support and training to local people. 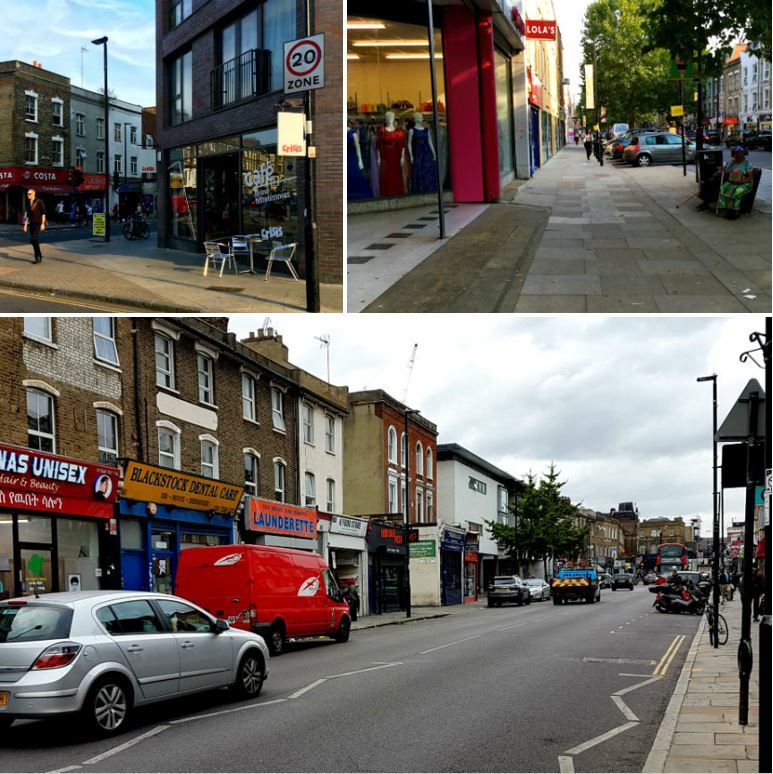 Patrice Buddington, Inclusive Economy Officer at LB Islington highlighted the vibrant mix of shops along the Blackstock Road retail corridor. Many are independent businesses, cafes, restaurants and shops ranging from Turkish diners to an Irish pub to East African grocery markets. Local people value the offer and actively resist the intrusion of chains: further up the road, Sainsburys’ third bid for planning permission is being met with opposition. Projects such as the tri-borough shop front improvement programme seek to support local business by targeting available funds to where they can have maximum impact. A joint venture between Telford Homes and Business Design Centre Group, City North is due for completion in 2019. Dominic Jones, Chief Executive at Business Design Centre Group is concerned people visit Finsbury Park in transit, rather than as a destination. City North will offer a gym, cinema and various restaurants alongside residential units, the ambition is for these amenities to act as an “anchor”. From the outset, City North’s developers were aware of the tri-borough context’s potential challenges, they agreed to liaise closely with LB Islington, as the planning authority. The development provided TfL with the opportunity to make significant improvements at the station. While work to create step-free access between the Piccadilly and Victoria lines to street level is ongoing, creating access between London Underground and Network Rail platforms was a trickier to fund. Jessica Ellery, Lead Sponsor, Stations and Customer Enhancements and Oliver Chew, Project Manager at TfL, explained that the coming of City North brought opportunity to create access straight through the station to exits and bus terminals, and up to Network Rail platforms, offering an alternative to the steep spiral staircases which were the sole interface. Upgrades to live stations are complex, barriers to date have included communication with Network Rail, track access and asbestos issues. 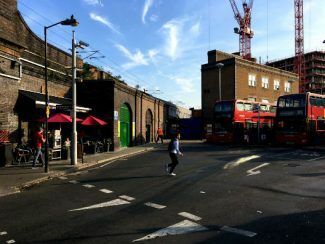 City North’s construction mandated the closure of the Wells Terrace station entrance, diverting pedestrian footfall under Stroud Green Road bridge, where rough sleepers from the three boroughs and beyond have set up temporary beds. The issue is complex and cross-borough co-operation vital in addressing their needs. Cllr Diarmaid Ward of LB Islington spoke strongly about the impact of fiscal austerity on housing services, and outlined plans to provide wrap-around support and routes into permanent housing for homeless people through a newly created Hub initiative. The entrance closure also reduced footfall on Fonthill Road. Up until the 1990s, Fonthill boasted thriving wholesale fashion industries, exporting all around the world. International economic change brought a downturn, with manufacture becoming cheaper elsewhere. Now facing a transition from wholesale to retail, the street must transform from functional to enticing. At the beginning of 2018, the relationship between all the stakeholders – council, City North, TFL and traders – was strained. Andrew Paschalis, Co-chair of the Fonthill Road Traders Association explained that the traders saw the council as enforcement rather than support during a difficult time. A protest staged at the turning on of Christmas lights was successful in sparking a dialoge, affording traders the opportunity of seeing “human faces rather than enforcement letters”. Officers are now working with traders to enhance the retail offer at Fonthill Road. Concerns about the impact of City North are discussed, with all parties working better together and looking for win-win outcomes. This year, the stakeholders have agreed plans for a community festive street market, delivered jointly, to promote the area as an attractive specialist retail location, with the developers sponsoring the market. The Green Flag award-winning park itself is a point of contention, with many residents deeply concerned about the impact of events held over the summer. Finsbury Park is owned and managed by LB Haringey, but the large crowds drawn for events such as Wireless spill out into LBs Islington and Hackney. A Stakeholder Group with representatives from all boroughs works to implement LB Haringey’s Outdoor Events Policy, meeting 50 times in the past 9 months. Sarah Jones, Events & Partnership Manager at LB Haringey highlighted the challenge of funding. 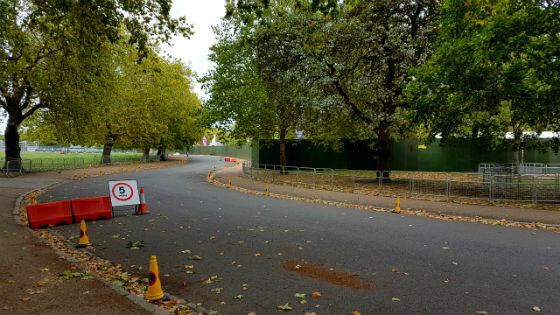 The park costs half a million pounds per year to maintain, without any upgrades or improvements: the events offer revenue. This – and challenges like it – will be explored in Future of London’s upcoming programme Paying for it. At the Finsbury Park Regeneration Conference in 2015, a group of local residents and workers were enthused by the idea of a Neighbourhood Plan for Finsbury Park and Stroud Green. Currently undergoing the process of becoming a designated Forum, the group hope a neighbourhood plan will ultimately bring more consistency across the neighbourhood, aligning policies and fostering cohesion. The speaking from Outlandish, a local tech co-op, the group’s co-chair Dorothy Newton observed that geography is bigger than place. The exercise of asking locals “what do you call the area where you live?” turned up a variety of responses – boundaries are multi-layered and go beyond the remit of public bodies. The plan will be developed by working groups tackling thematic areas and be based on extensive consultation with residents and local workers. While the fact remains that a boundary must always be drawn somewhere, administrative divides in dynamic spaces can amplify challenges. Effective partnership arrangements and good officer relations are key to overcoming these complex barriers. This field trip was part of Future of London’s Overcoming London’s Barriers project. Find out more.